Deep Meditation sessions offer profound healing and insight; assisting in the release of old beliefs and patterns, traumas and past life experiences. 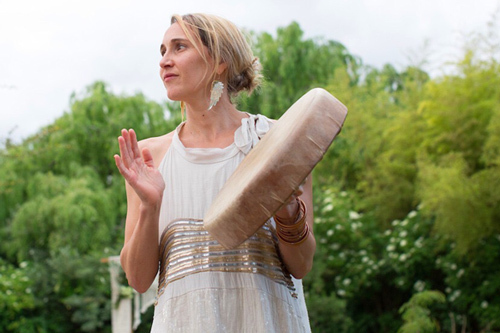 My approach is shamanic and works with healing our inner masculine and feminine. Deep meditation allows people to reconnect to the spirit of the earth and connect with our higher consciousness. This work is balancing and harmonious, bringing into alignment the body, mind and spirit. I have been working with Sacred Plant Medicines for over 11 years and it’s been an extraordinary journey to witness, time and again, the deep intelligence of these plants and how they can help us as individuals and as communities come back to a true state of connectedness and oneness with nature. I offer Deep Mediations for family constellation work, which can heal family lineages nine generations back. This work supports the release of old karmic patterns and the dissolution of conditioned beliefs which hinder growth. The work is extremely heart-opening, and can relax tensions within family structures. From a traditional Peruvian perspective, this work is about healing our blood families, our communities, environment, our planet and ourselves. It offers protection and guidance for the family structure, enabling connection love and harmony. When working specifically with couples, I offer powerful tools to access the wounded masculine and feminine aspects of ourselves; clearing paths of miscommunication and finding right ways of relating to one another. These sessions are inspired by my extensive work in Tantra, Non-Violent Communication and personal self-development work. I am able to hold a strong balance for the masculine and feminine archetypes to be played out and healed during these sessions. I’m deeply passionate about working with women. In my workshops and retreats, I create a safe space for women to journey into their sacred selves in a supported and loving way. My work offers women the chance to take back their power and work with the cycles of the moon and to have the courage to step into their spaces of vulnerability, which in essence is where our great strengths arise. I hold regular 4-day retreats in the United Kingdom, Europe and South Africa. I facilitate clients to delve deeply into their inner worlds. This work simultaneously allows for the expansion into astral realms where time and space lose all reference thus facilitating transformation on deep energetic levels. Retreats include working with the supportive energies of the natural environment such as lay lines, astrological insights and natural earth elements. Thank you for everything. There were numerous occasions when a particular angel in white would swoop down and minister specifically what was needed, whether it was a song or the spiral rattle, a puff of Sage or refreshing incense – I recall you actually being in the middle of a song but you were right there by my side with so much motherly nurturing energy. 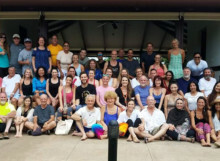 The deep meditation retreat was a deeply profound and spiritual cleanse to open up all your senses. Samantha is a magical guide with big knowledge and understanding. The whole atmosphere was very beautiful with amazing healing meditation, music, food and I’m grateful for the journey. I would definitely recommend anyone to join a retreat lead by Samantha. I was there to assist with the wholesome, organic plant-based food, and the whole venue was so beautifully done. The retreat team was amazing and very creative. It felt like home and you are truly supported on your journey. Much love and gratitude. The retreat with you at Blue Butterfly was life changing for me and has set me back on the right path. I cannot thank you enough for your gorgeousness and love. I look so forward to connecting with you again.